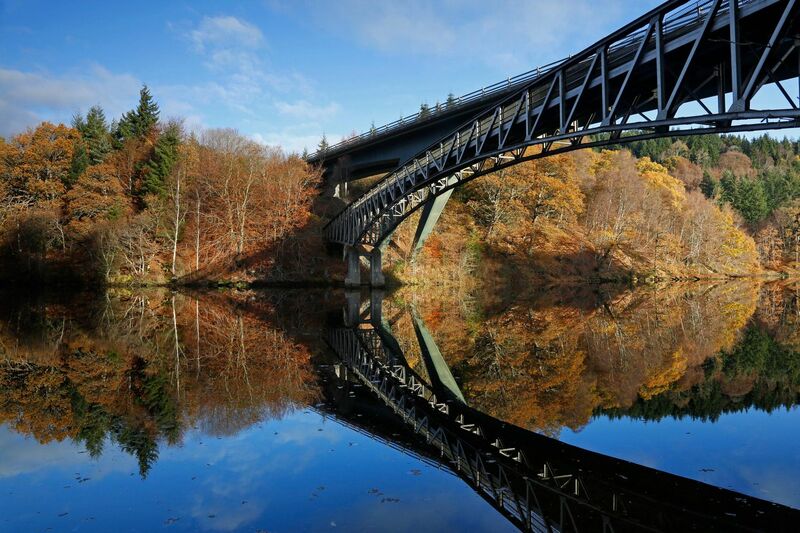 The Killiecrankie Path links up Pitlochry with Killiecrankie. The walk starts in Pitlochry then follows the southern side of Loch Faskally crossing over to the other side via a footbridge under the A9. The reflections of the autumn foliage at this point, Loch Faskally Bridge, were absolutely stunning.